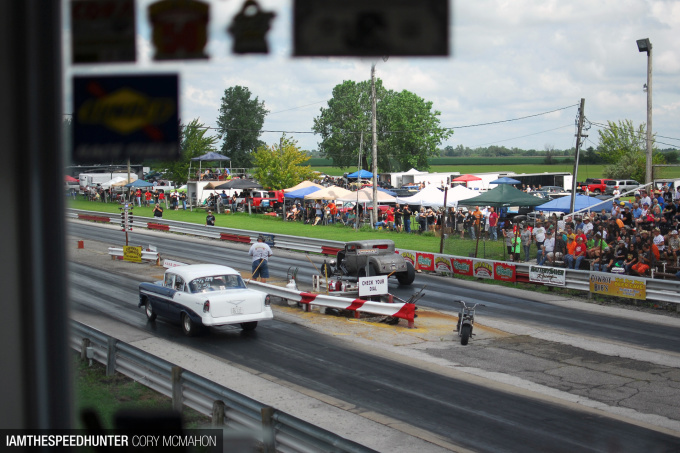 The year is 1962 and there is a new drag strip in the Midwest built in an old corn field with some grandstands and a small timing tower. 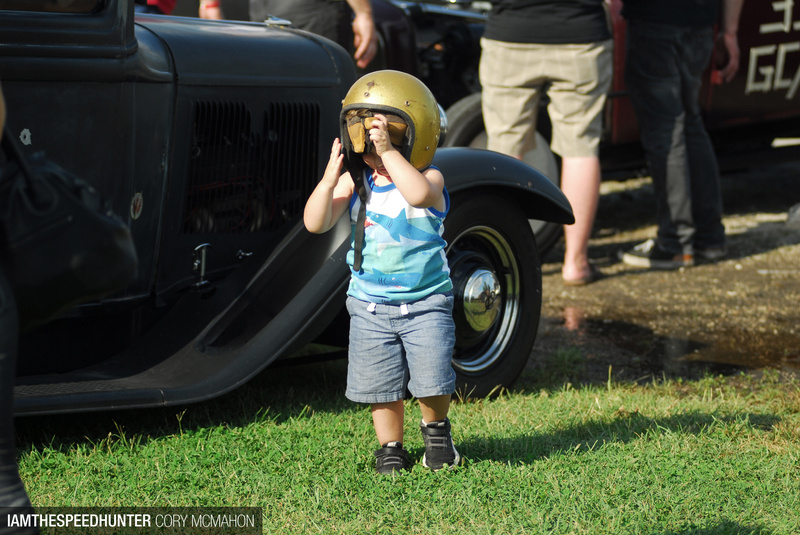 Every week hot rodders come out to race their cars for bragging rights of who has the fastest car around. Some cars are hot rods that are driven daily, while others are all-out race cars that are built for one sole purpose: to be the quickest. Fast forward 54 years and not much has changed. 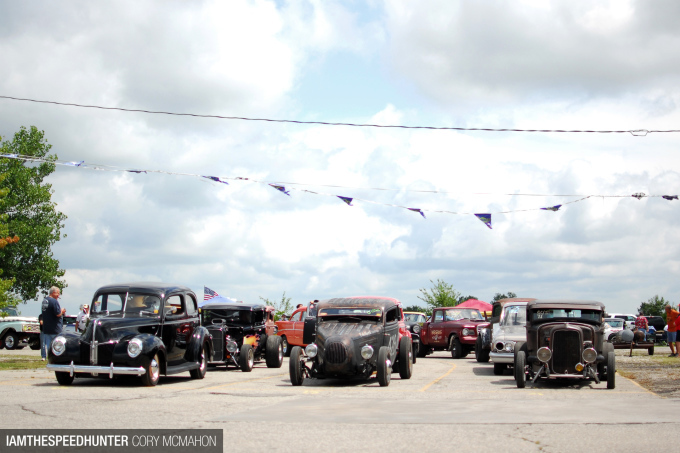 That same drag strip in the Midwest is still in an old cornfield, and racers still come out religiously to prove that their speed. 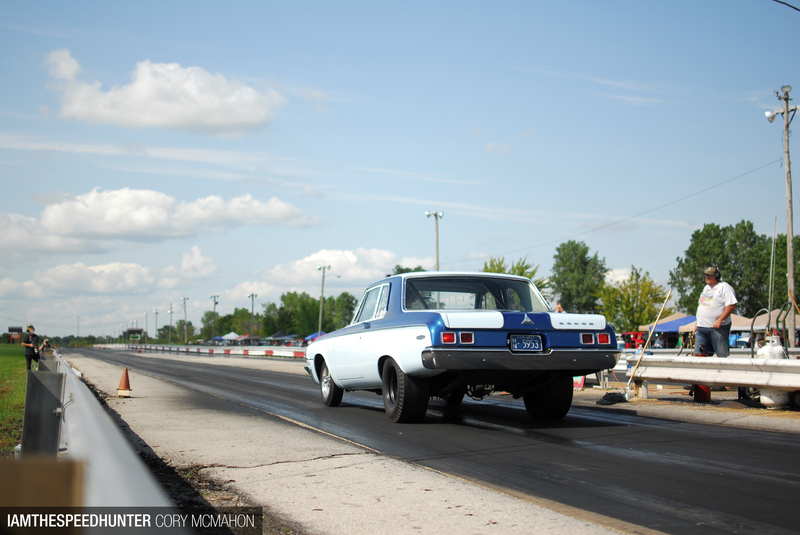 In fact, very little has changed at the drag strip. Mo-Kan Dragway in Asbury, Missouri, just outside of Joplin on the Missouri-Kansas border, looks like it’s right out of the ’60s. 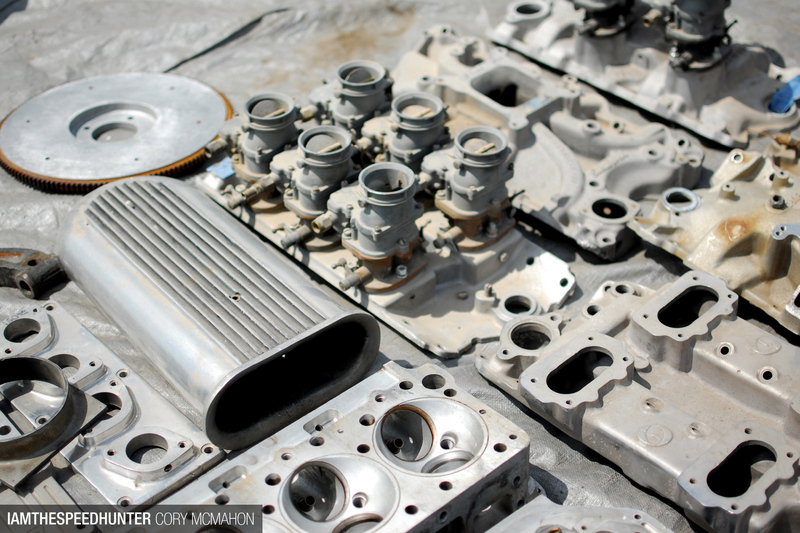 The track has only changed owners once over the course of its lifetime, and a new timing tower is the only upgrade. 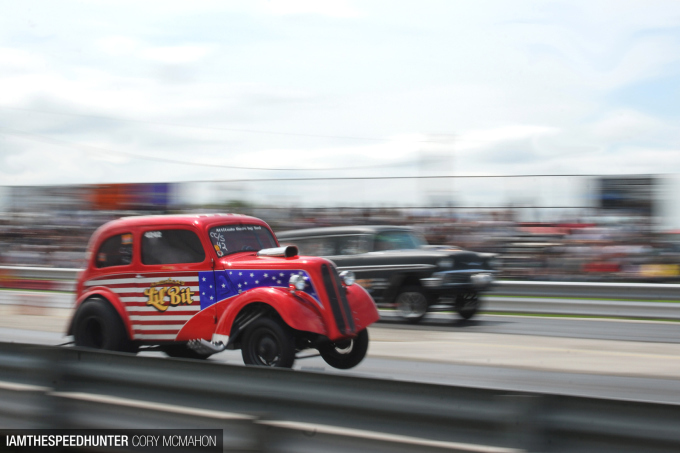 Aside from that, when you go to the H.A.M.B Drags, you feel like you’ve slipped into a time machine and traveled back to the heyday of drag racing. 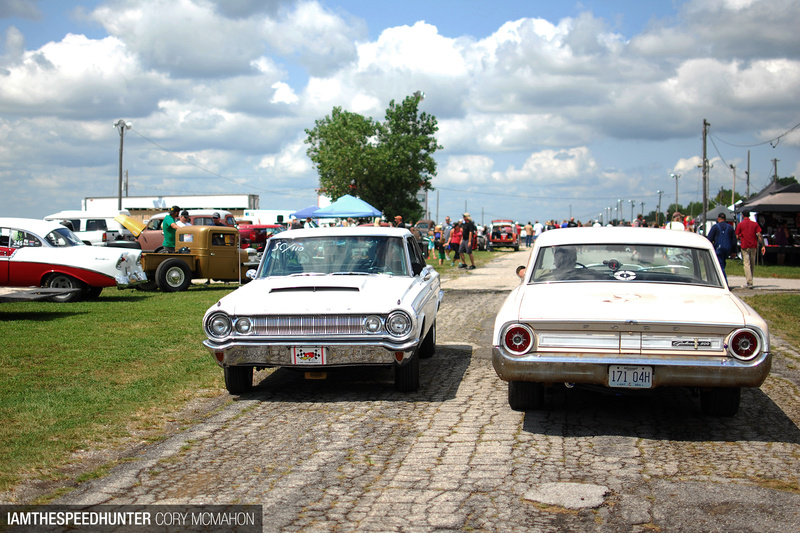 To early ’60s muscle cars. Drivers came from near and far to race. 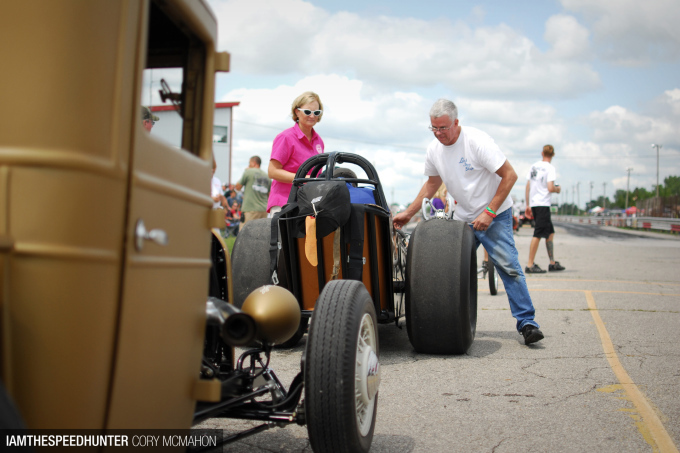 Ryan Henrickson drove his flathead-powered Model T sedan all the way from Omaha, Nebraska. 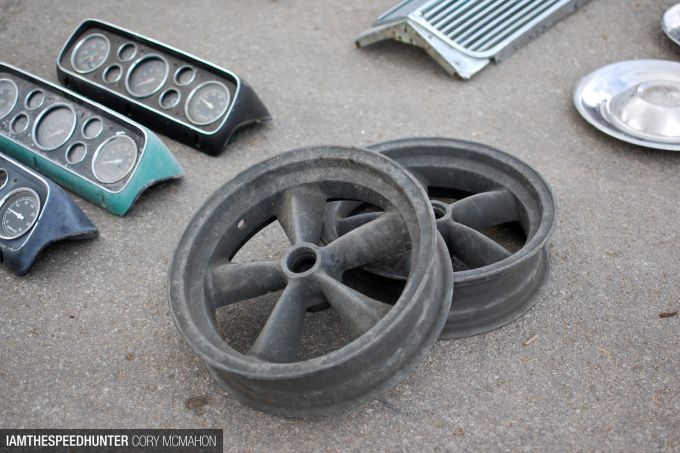 Almost all of the parts that were used to build this car came out of a field where they had been left to rot away. There were many different Willy’s race cars competing in 2016, including this yellow ’41 with a supercharged motor. 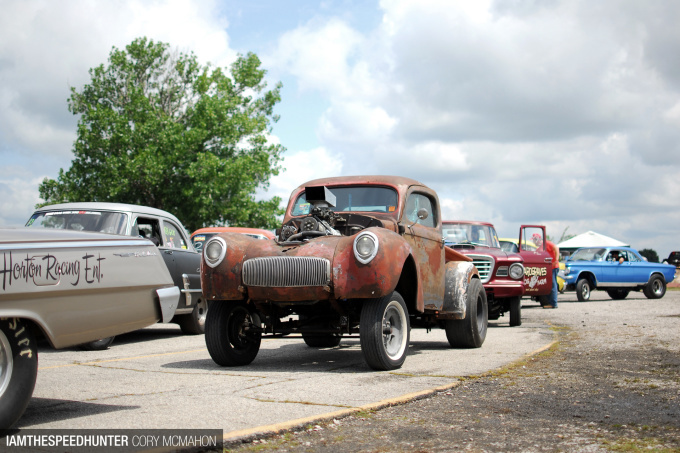 At the opposite end of the spectrum was this Willy’s pickup that had some very old patina. 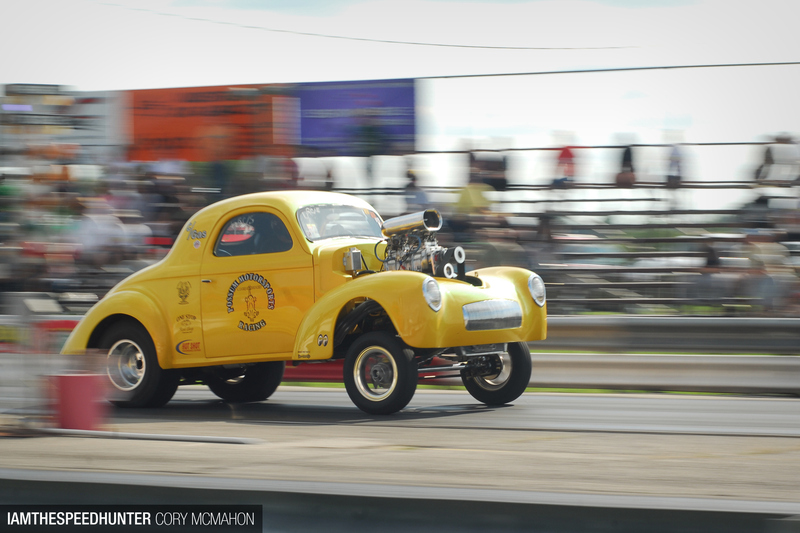 Mo-Kan Dragway really captures the essence of what drag racing was all about half a century ago. 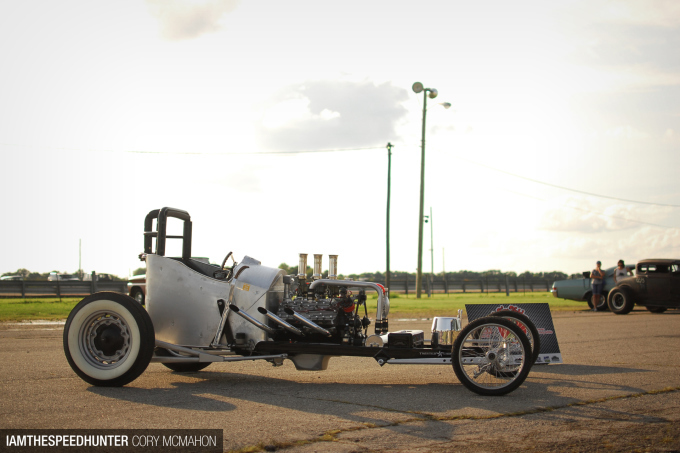 One type of race car that I’ve always had an interest in is the front engine dragster. Dragsters started out life with their engines in this configuration ahead of the driver, but as time went on racers were able to develop a car that put the motor out back. 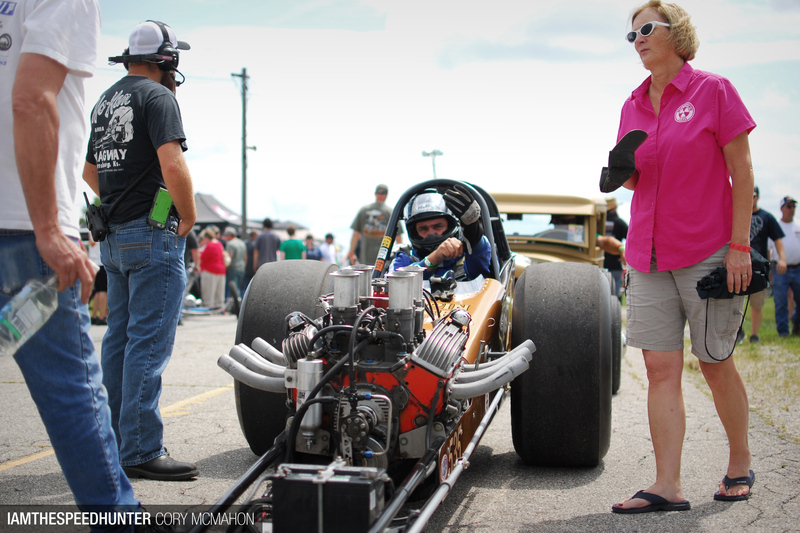 The rear engine dragsters were faster and safer, but boy did they lack the good looks of a front-engined car. 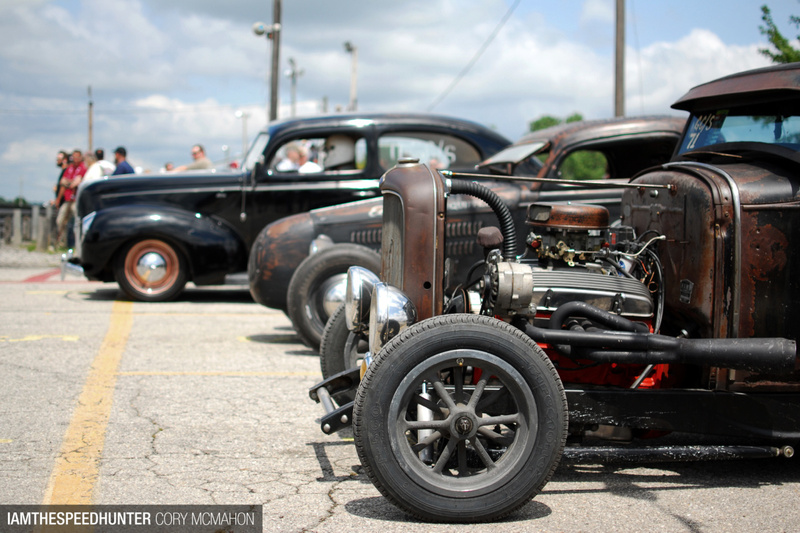 To a flathead Ford with triple carbs. 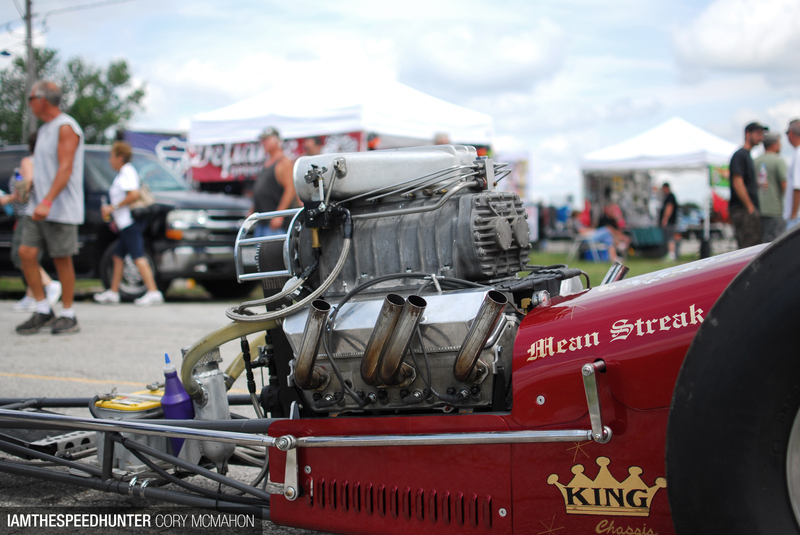 The driver of this front engine dragster was getting suited up to make another 9-second pass down the drag strip. 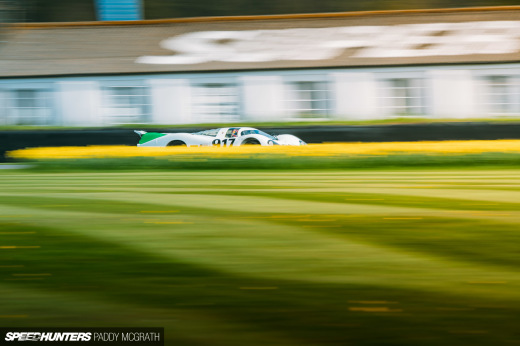 There really is nothing like standing at the start line right behind the guard rail when the light turns green and one of these cars blasts down the track. 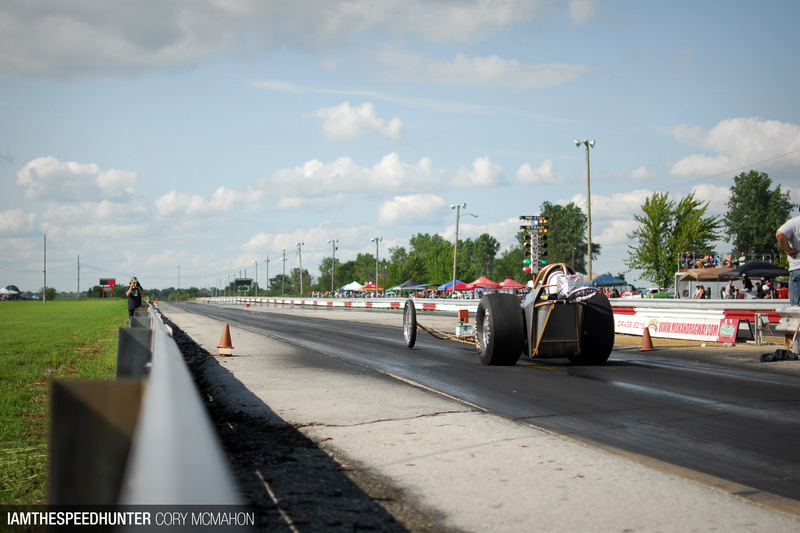 After a dragster makes its pass, the rest of the team has to go to the end of the track and tow the car back to the pits. Almost every dragster in attendance had some sort of cool vehicle to tow them, and this ’55 Chevy just looked so right doing the job. 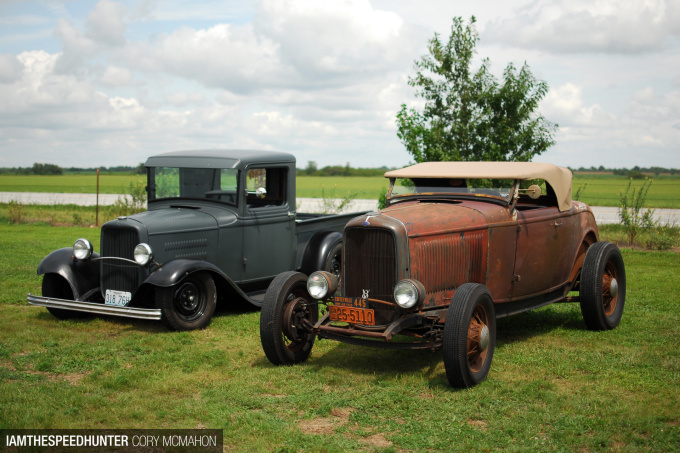 One tow car that I was especially fond of was this 1927 Chrysler pickup owned by Mike Beck of Springfield, Missouri. 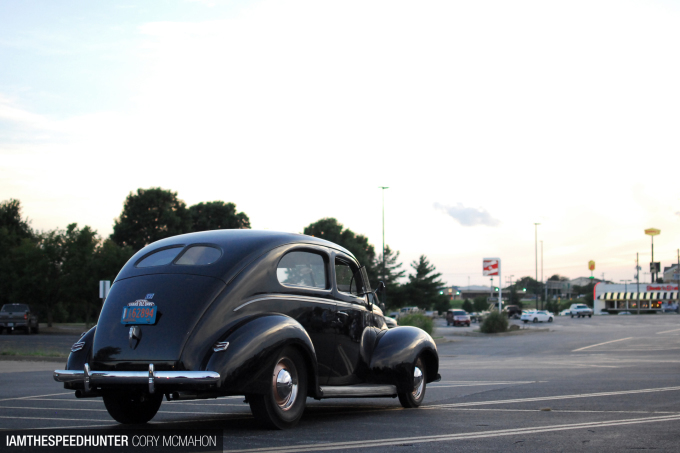 For one of the last runs of the day, I had the pleasure of riding shotgun with Mike in his Chrysler. We drove to the shut-down area just past the finish line in order to tow a dragster and its crew back to their pit. 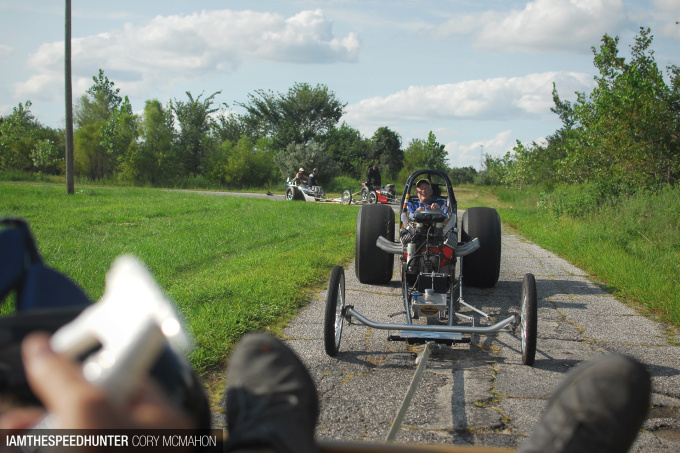 It’s a totally different perspective sitting in an old hot rod just behind the start line as a 9-second dragster launches in front of you. After the driver was done with his pass and off the strip, we met up with him and hooked up the tow strap then headed back to the pits. The H.A.M.B. Drags features a very laid back atmosphere. Yes, there are trophies up for grabs, but one of the main points of the event is to enjoy hang out with friends that you may only see a handful of times a year. 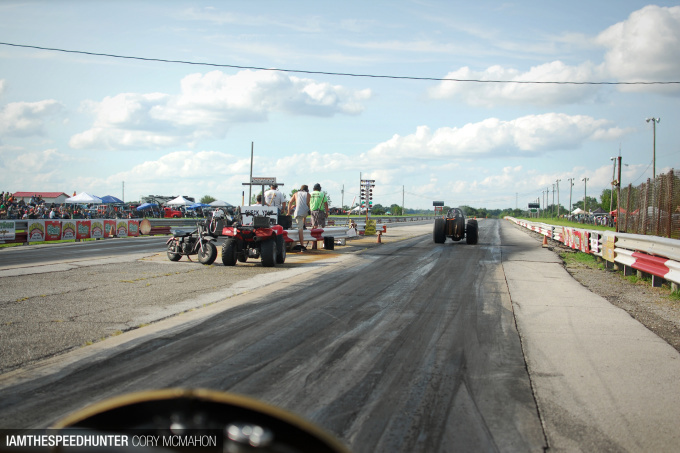 The drag racing is only one day, but there is much to do in Joplin and the surrounding area that you could keep busy for the entire weekend and then some. To intake manifolds and carburetors for just about any motor you could think of. 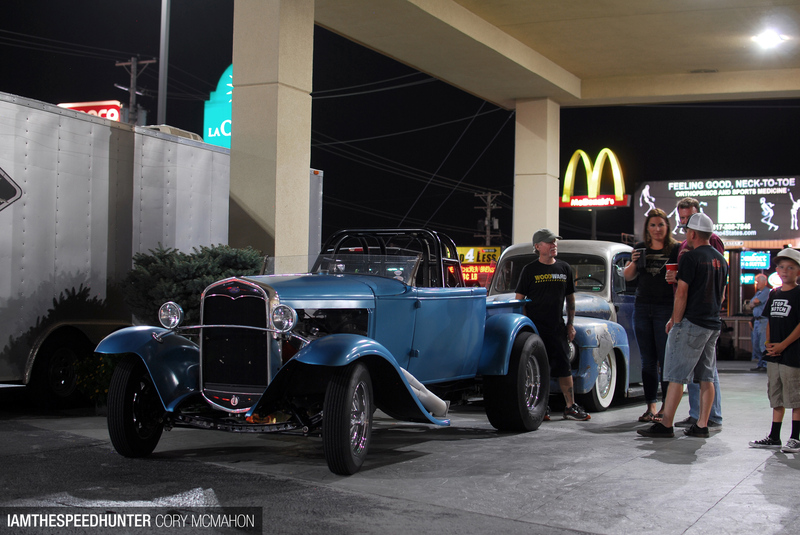 This little restaurant in downtown Springfield was the place to be after the swap meet. With so much history in Southwest Missouri and Joplin, it was hard to see everything. 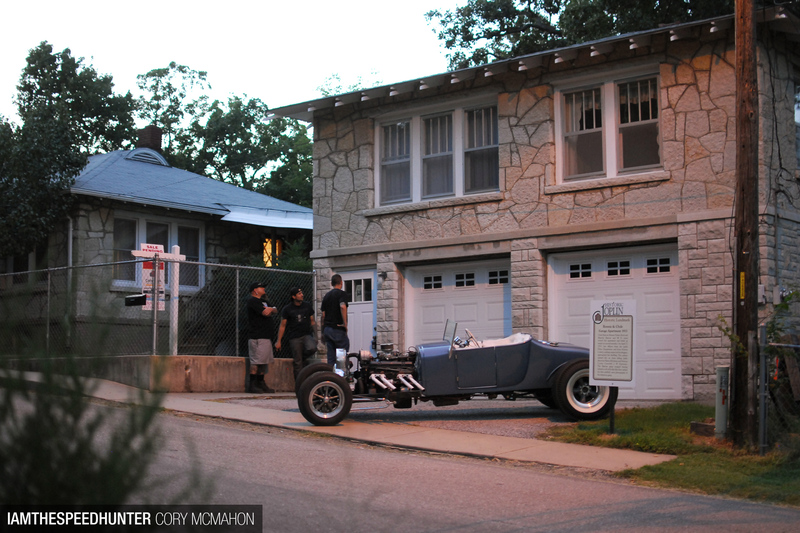 One place that I had to visit was the garage that Bonnie and Clyde stayed in for a few weeks back in the 1930s. 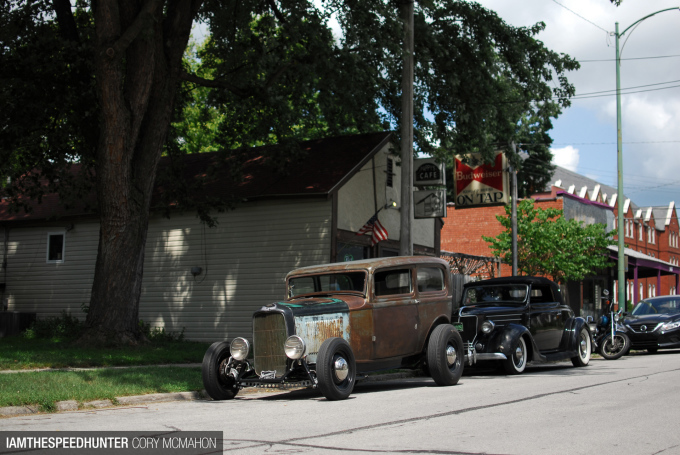 Every time that I turned around, there were more hot rods to be seen. Back at the host hotel, the Friday night before the racing was almost as much fun as the event itself. 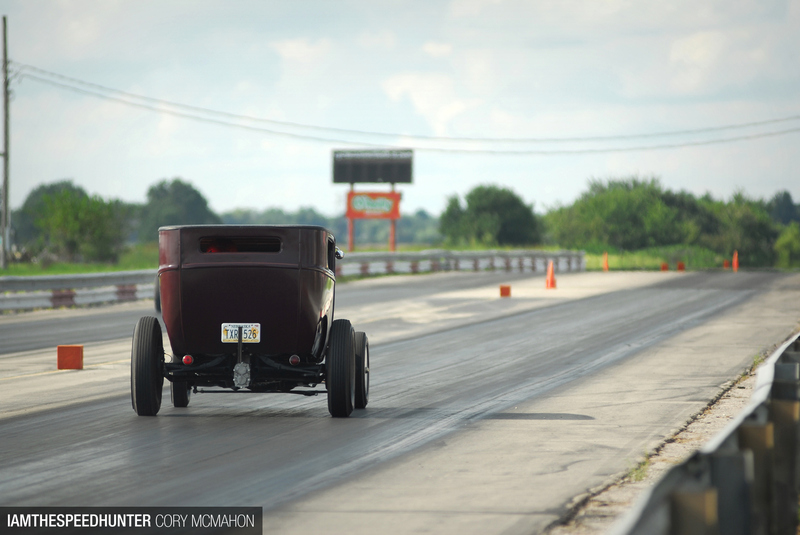 This Model A roadster pickup was driven by Sam Strube and was brought all the way from California. 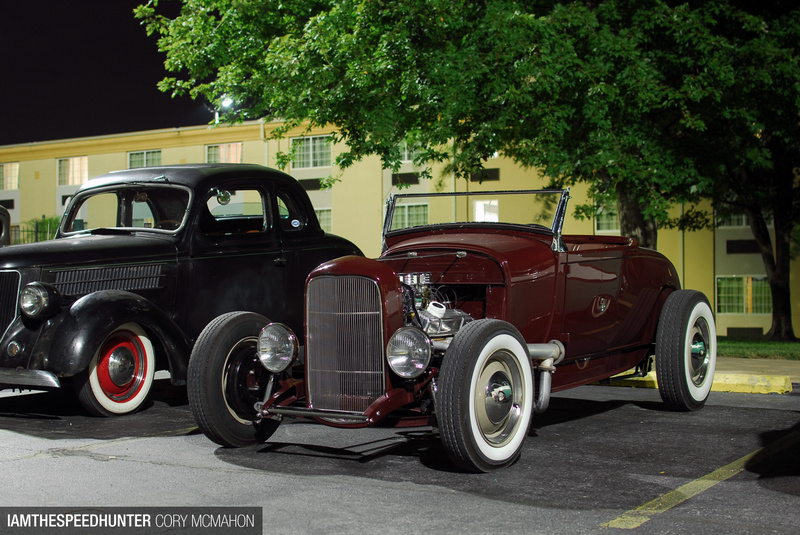 While strolling through the hotel parking lot, I came across this cool little Model A roadster that was driven all the way from Nebraska. 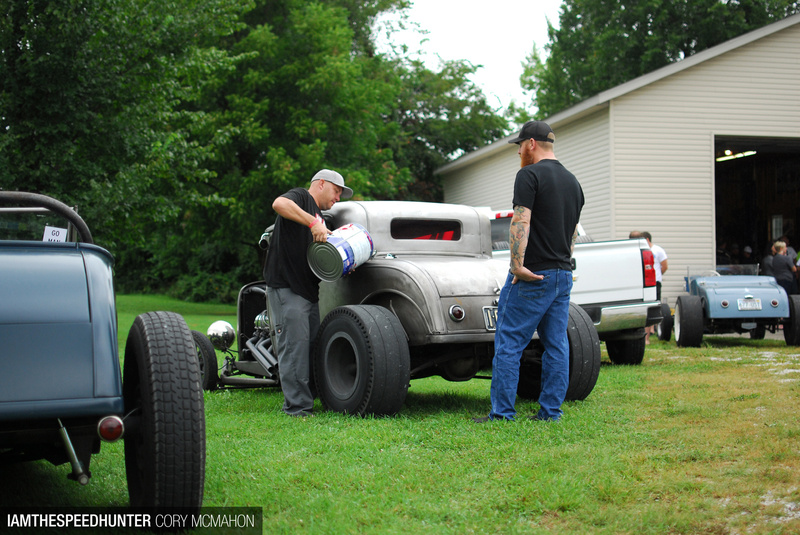 For many racers, Saturday morning was prep time. Jason Holland drove his bare steel Model A coupe from Omaha, Nebraska. He made a few passes, then drove home. The H.A.M.B. Drags should be a bucket list event for any nostalgic drag racing enthusiast. It’s one of the premier events in the country and does its part to ensure that traditional hot rodding is here to stay. 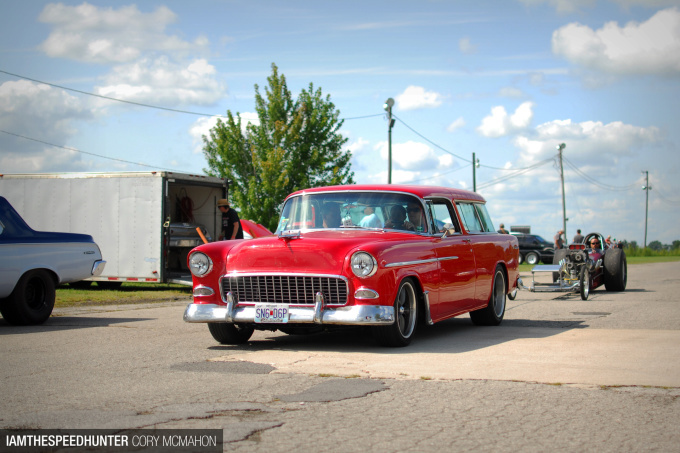 That 55 wagon is a dream car of mine. 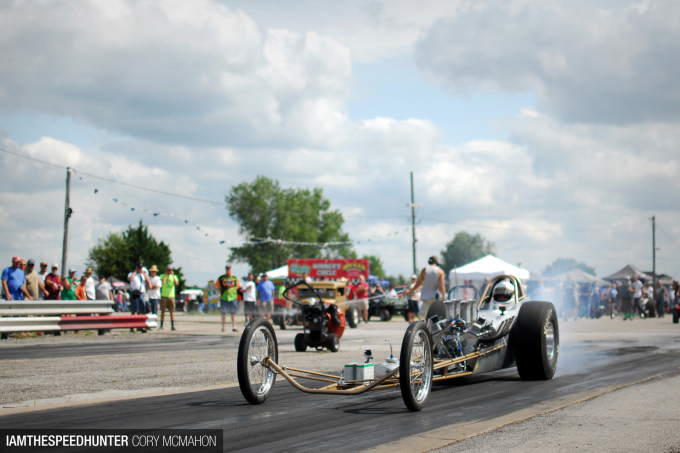 Front engined dragsters are generally called "Slingshots". 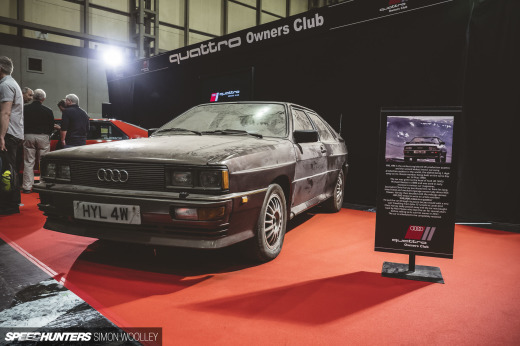 Best article in Speedhunters in years. 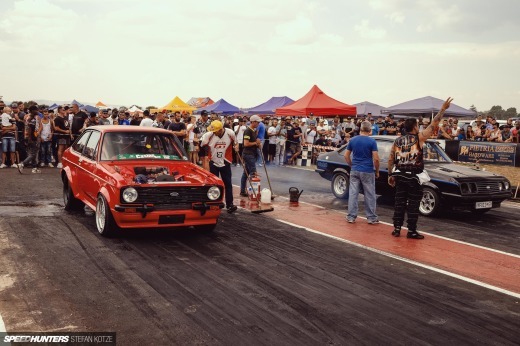 The atmosphere of these events is just awesome, they truly make an effort to keep it as nostalgic as possible. 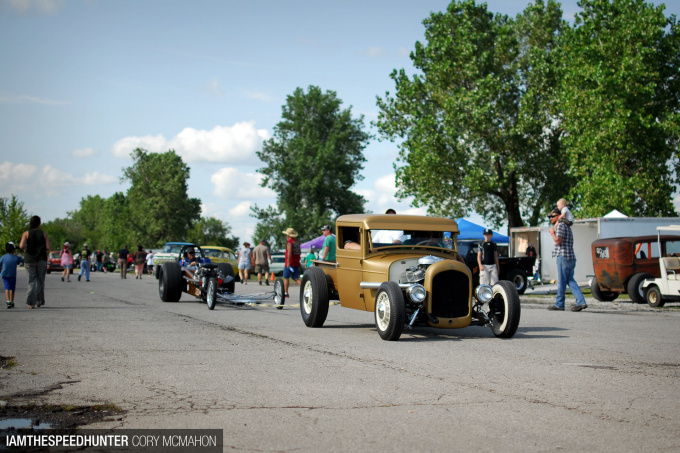 more really traditional hot rodding in Speedhunters would be more than welcome.